I currently have a section on my website which is just text but would like it to be converted to a more attractive image. 1. 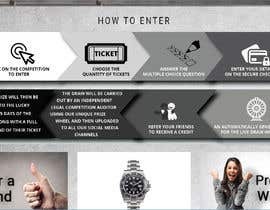 Click on the competition to enter. 2. Choose the quantity of tickets. 3. Answer the multiple choice question. 4. 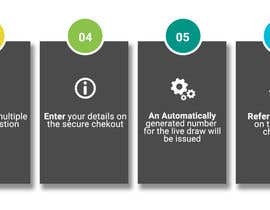 Enter your details on the secure checkout. 5. 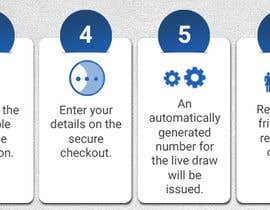 An automatically generated number for the live draw will be issued. 6. Refer your friends to receive a credit. 7. 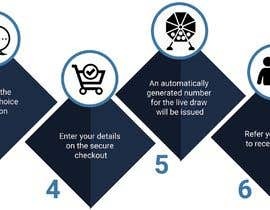 The draw will be carried out by an independent legal competition auditor using our unique prize wheel and then uploaded to all our social media channels. 8. The prize will then be delivered to the lucky winner within 5 days of the draw date along with a full refund of their ticket. The image size should be 1140 x 300 pixels. This is important. I've attached an example that my client has sent me however I'm not sure these colours would work on our site but we're open to suggestions. 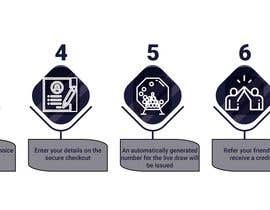 Please view the site - you can see how our branding works. Thanks for the entries however there's nothing that stands out so far.